Who will be the Next King of Malaysia? The Sultans of Pahang, Johor and Perak are next in line to assume the role of the Yang di-Pertuan Agong, according to the unique rotation system that determines the succession of Malaysia’s supreme ruler. The rotation system has been in place since 1994, after the rulers of nine states with hereditary lines of succession, had their turn as King since Malaysia’s independence in 1957. According to the election process set by the Conference of Rulers, only the nine Malay rulers may be elected as Agong for a five-year term, and only they can vote. When the nine meet on January 24, the candidate in pole position for Agong will be whoever occupies the throne of Pahang. The sultan of Pahang must secure five out of nine “suitable” votes to be elected and offered the post of Yang di-Pertuan Agong. Below are brief introductions to the three leading candidates in line for Agonship. Pahang’s Tengku Abdullah Sultan Ahmad Shah could be the next Agong if the state’s royal household installs him as the next sultan. – Facebook pic, January 9, 2019. According to a New Straits Times report, the Pahang palace is currently working to install the state’s Regent and Crown Prince, Tengku Abdullah Sultan Ahmad Shah, as the new Sultan before January 24. This is because the current Ruler of Pahang, 88-year-old Sultan Ahmad Shah Sultan Abu Bakar, who is also Tengku Abdullah’s father, is in frail health. Sultan Ahmad Shah had taken over the Pahang throne from his father Sultan Abu Bakar Sultan Abdullah in 1974. He was Agong from 1979 to 1984. Born in Pekan, Pahang, Tengku Abdullah will be 60 on July 30. He was made crown prince of Pahang in 1975. Four years later, he was made Pahang regent, when his father, Sultan Ahmad Shah was elected Agong. Tengku Abdullah was made regent again in 2017. Tengku Abdullah gained prominence in the public eye after he took the helm of the Football Association of Malaysia and his attempts to revive Malaysia’s moribund football team. According to the Agong election process, all nine rulers must either vote “suitable” or “not suitable” for candidate next up in the rotation. If that candidate among the nine rulers fails to get the necessary five “suitable votes”, the process is restarted with the next candidate in line, which is Johor’s sultan. Sultan Ibrahim Sultan Iskandar of Johor is a year older than Tengku Abdullah, and ascended the throne in 2010, after the death of his father, Sultan Iskandar Sultan Ismail. Sultan Iskandar was Agong from 1984 to 1989. Compared to the other Malay rulers, Sultan Ibrahim has been the most actively and directly involved in Johor’s political and social landscape. Sultan Ibrahim Sultan Iskandar of Johor has been directly involved in his state’s social and political life. –Facebook pic, January 9, 2019. He has issued decrees changing the state’s weekend to start on Friday instead of Saturday, and has publicly spoken out on racial issues. 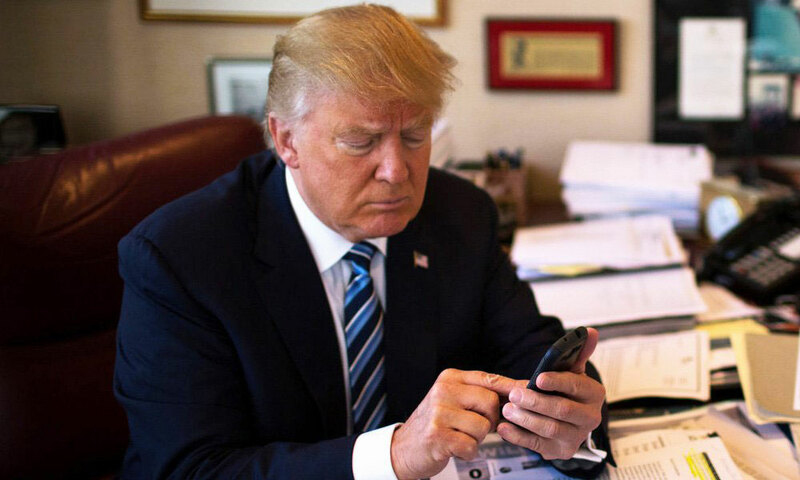 In 2015, he told racists to leave his state. In 2017, he ordered a Muslim-only laundromat to change its policies or be shut down. Some of his decrees have been controversial, such as his plan to lead the state’s new housing board and ordering Johor’s religious authorities to sever ties with the Federal Islamic Affairs Department (Jakim). Perak’s Sultan Nazrin Muizzuddin Shah Sultan Azlan Shah is next on the Agong succession list after Johor, and is currently deputy Yang di-Pertuan Agong. This post will also be up for election again on January 24. At 63, Sultan Nazrin is also the oldest among Tengku Abdullah and Sultan Ibrahim. Sultan Nazrin has been Perak ruler since 2014, after the death of his father, Sultan Azlan Shah Sultan Yussuff, who was Agong from 1989 to 1994. Perak’s Sultan Nazrin Muizzuddin Shah Sultan Azlan Shah is an erudite economist and he holds degrees from Havard and Oxford universities. – The Malaysian Insight file pic, January 9, 2019. An avid scholar, Sultan Nazrin is a familiar guest of honour at political and economic symposiums. He holds a Phd and masters degree in politics and economics from Harvard University, in the United States, as well as a bachelor’s degree from Oxford University, UK. He is currently the Pro-Chancellor of The University of Malaya. Posted in Democracy, Malaysia, The Malaysian Constitution. When the Prime Minister’s Office recently announced that the Pakatan Government will not ratify the International Convention on the Elimination of All Forms of Racial Discrimination (ICERD), it also noted that the Government will defend the Federal Constitution which enshrines the social contract agreed to by representatives of all the races during the formation of the country. The announcement apparently came out of a Cabinet meeting and was a unanimous decision. One wonders what the Cabinet members were smoking when they agreed to inclusion of a reference to the country’s “enshrined social contract”. The notion of a ‘social contract’ negotiated by the country’s leaders which led to ‘merdeka’ is one of those recent political constructs which, because it has been repeated ad infinitum by the Barisan Nasional government and its supporters, now appears to be unquestionable truth with the public, especially the Malay public. The fact behind the wording is that the term was used for the first time in 1986 by The Late Datuk Abdullah Ahmad, UMNO Kok Lanas Member member of Parliament and journalist – that is, 30 years after independence. It was never used by members of the Reid Commission or by the leaders of the ‘merdeka’ movement. “The political system of Malay dominance was born out of the sacrosanct social contract which preceded national independence. Let us never forget that in the Malaysian political system the Malay position must be preserved and that Malay expectations must be met. There have been moves to question, to set aside and to violate the contract that have threatened the stability of the system. When he explained it, Dollah Ahmad gave no indication that he had read the reports of the Reid Commission; neither is there evidence that he consulted the scholars who have studied and written on that period of our history. He was also not able to quote anyone of the first generation of political leaders such as Tunku Abdul Rahman, Onn Jaafar, Tan Cheng Lock and Sambanthan; or any subsequent political leader to support and uphold his notion of the “sacrosanct social contract”. His objective seems to have been to argue for his concept of ‘ketuanan Melayu’ and the extension of the New Economic Policy at a time when the ending of its 20 year timeframe was in sight. Since then, Dollah Ahmad’s construct has been appropriated by a motley crowd including UMNO political leaders, Malay mass media, self-styled academic experts, and other vested interest groups. One prominent figure in the grouping is the former Prime Minister, Najib Razak who on 21 October 2010 in his speech to the General Assembly intimated that there is a ‘social contract’ whose terms are set in stone and which no Malaysian should question. 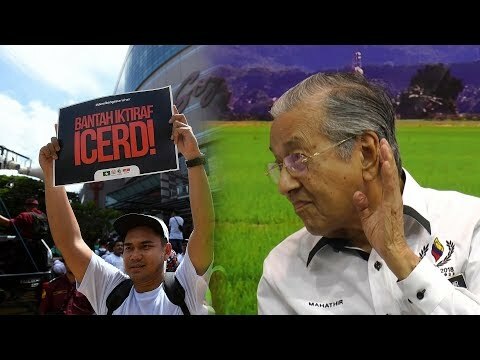 So can the question of the ‘social contract’ be now raised and put back in the public arena in Malaysia baru since it has been used to push back the ICERD ratification? Or will Malaysians again be gagged into silence on a contentious issue standing in the way of better understanding of our political history and ethnic relations. It is important to note that the majority of local and foreign scholars have repudiated the notion of Dollah Ahmad’s ‘social contract’. Perhaps the most prominent in recent times is RoyalPprofessor Dr. Ungku Abdul Aziz, who is reported to have stated t hat, “There is no such thing as [a] social contract”, and that the social contract is “a fantasy created by politicians of all sorts of colours depending on their interest”. 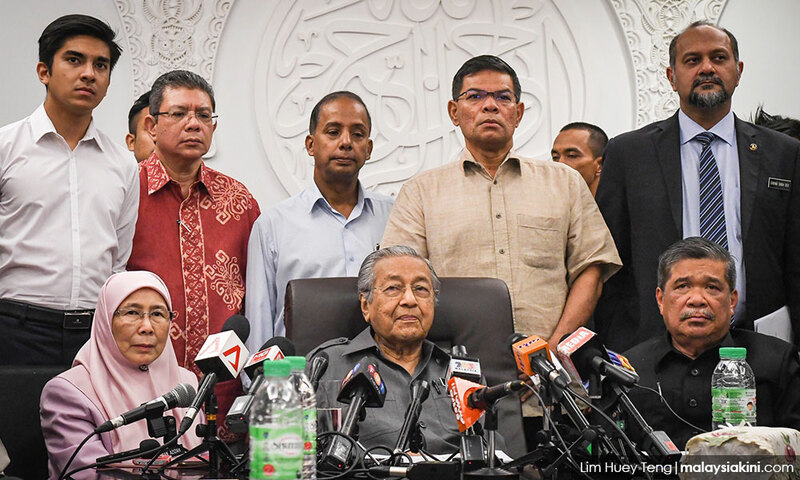 It is possible that there are disciples of Abdullah Ahmad – including those within Putrajaya today – who hold to the view that there is a ‘social contract’ and that those contesting it are either ignorant, misguided or traitorous. Please print out the ‘sacrosanct social contract’ especially in Malay to be viewed by all Malaysians. If a copy is not available, state what you understand to be part of this social contract. Your view should be supported by relevant excerpts from the Reid Commission and the findings of reputable constitutional and legal experts who have studied the negotiations preceding and after merdeka. Call on the expertise of professional organizations such as the Bar Council, the Malaysian Social Science Association, and other bodies to organize talks, seminars and forums on the ‘social contract’ to ensure that the best minds can have their opinions disseminated to the public. The danger is that in not debating the issue openly we drive that debate underground and entrench ethnocentric interpretations that do not reflect the true intent of the agreement reached by the framers of our constitution. Posted in Democracy, ketuanan melayu, Malaysia, Pakatan Harapan, Parti Pribumi Bersatu Malaysia, Politics, Race Relations, The Malays, The Malaysian Constitution, Tun Dr. Mahathir Mohamad, UMNO. The 3 Malaysian Agenda–Language, Malay Rights and Meritocracy — for A Better Malaysia. 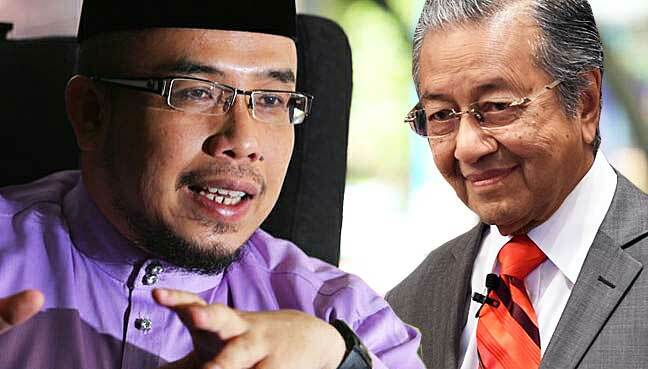 Will Anwar Ibrahim do it? In all my work and writing during the past 20 years, readers will have noted that my major concern is for Malaysia to become a fully developed nation in all the key aspects of life – economic, socio-cultural, political and educational. Towards this end I have provided numerous press statements, given umpteen talks and speeches, and written hundreds of articles and a book on how to attain what may be described as my own version of Vision 2020. It is a vision which I believe is shared by the overwhelming majority of moderate and progressive Malaysians, especially among the younger generation which I am in constant touch with through the scholarship system I have sponsored for the past decade. Now that Anwar Ibrahim has won the Port Dickson by-election, it is necessary for me to emphasise again on what are the crucial policies and strategies that the heir apparent Prime Minister has to articulate and implement to bring about the realisation of a united and progressive Malaysia Baru. Continuing attempts by Malay ultras to downgrade the use of other languages especially English and Mandarin are not only counter-productive but will end with the Malay community being left out of the global economy and world of knowledge, science and technology. Anwar should realise that his standing among leaders in the region and the world is partly or even mainly because of his ability to communicate in English. Nobody is disputing the role of Bahasa as the national language. But English is the universal lingua franca par excellence and whoever is Prime Minister of the country needs to make sure that all young Malaysians from an early age master the language to propel us into the club of advanced nations. Anwar should make sure that the policymakers do not continue to go back and forth on this issue. Further pandering to the Malay language chauvinists will see the Malay community regress rather than progress. Anwar and other Pakatan Harapan Malay politicians must bear in mind that the use of Malay rights – constitutional and extra-constitutional – to enrich the Malays is not only wrong. It will never work. You can never legislate the poor from penury into wealth and prosperity. Worse is to take away from those who have worked hard and accumulated assets and savings to put into the pockets of those that are seen to be needy. The ultimate foolishness is to do this on a racial basis as was attempted by the NEP during the past 40 odd years after May 69. All the analysis by foreign and local scholars’ points to the fact that the NEP and follow up racial policies have been the breeding ground of abuse of power, mismanagement of economy and super corruption, cronyism and patronage. The NEP has been a major contributor to the falling back of our economy and society to its present low level as compared with Singapore, Taiwan, South Korea and other countries that were in fact at a lower or similar stage of development in the 1970s. During my time in the 50s and 60s as a student and young engineer it could be said that the system of meritocracy was the dominant one in Malaysia. This is the political and economic philosophy which holds that certain things, such as economic goods or power, should be vested in individuals on the basis of talent, effort, and achievement rather than be based on factors such as race or family relationships or political affiliation. During the past decades of Barisan Nasional rule, the meritocratic system was replaced by one based on race, political affiliation, family relations and know who. This has resulted in the dumbing down of the civil service as well as resulted in inefficiency and mismanagement of the nation’s resources. I am confident that if a study was done on the cost to the country as a result of the loss of the system of meritocracy, the figure will run into the trillions of ringgit. a. University places should be allocated based on examination results and should not be based on race or other forms of quotas. b. Entry and promotion in civil Service, the Police and army must similarly be based on educational qualifications and working experience. There must be no political or party interference in the civil service. Anwar now has the opportunity to lead the nation into a new era of progress, prosperity and unity. To do this he must implement the Malaysian agenda outlined above. I and other loyal and patriotic moderates in the country will be monitoring him closely to make sure that he lives up to the cry for reform and rejection of the BN racist policies which resulted in Pakatan’s election victory and Anwar’s personal victory in Port Dickson. 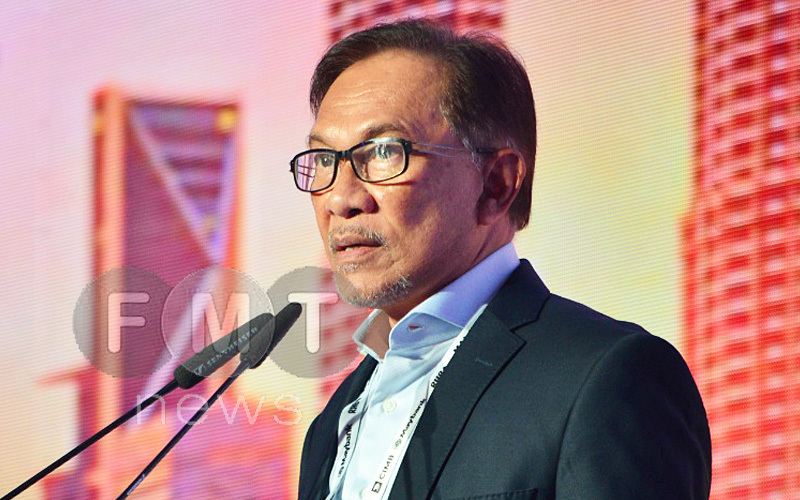 Posted in Anwar Ibrahim, Character and Integrity, civil society issues, FreeMalaysiaToday, Language, Leadership, Malaysia, Meritocracy and Competence, National Unity, Politics, The Malays, The Malaysian Constitution, Uncategorized.